Injury and mortality can result when birds collide with power lines. Collisions occur most often in areas where a transmission line intersects bird breeding and feeding areas, such as bodies of water or wetlands. Transmission lines are often difficult for birds to see and can sometimes appear invisible due to background or low light conditions. The risk is believed to be highest for waterfowl and water birds as they are not able to maneuver quickly around the lines. For new transmission line projects, avoidance of large water bodies is AltaLink’s primary mitigation for preventing collisions with our lines. When these areas cannot be avoided, AltaLink installs markers to increase the visibility of the lines to birds in flight. For existing transmission lines, AltaLink has completed a risk assessment to help determine which segments are high-risk. Lines identified as high-risk are ground truthed as part of our monitoring program and prioritized for marking projects. AltaLink currently uses three types of marking devices, the Swan Flight Diverter (SFD), the Power Line Sentry Avian Flight Diverter (AFD), and the Firefly Diverter. Research has shown that marking devices effectively decrease bird collisions by approximately 50 per cent. The SFD is a spiral device that wraps around the line. It works by increasing the diameter of the lines and therefore increasing visibility to help birds avoid collision. The AFD is a reflective device that provides visibility of the wires at any angle of approach. It does this with the use of 24 hour glow tape for improved dawn, dusk, and night visibility. 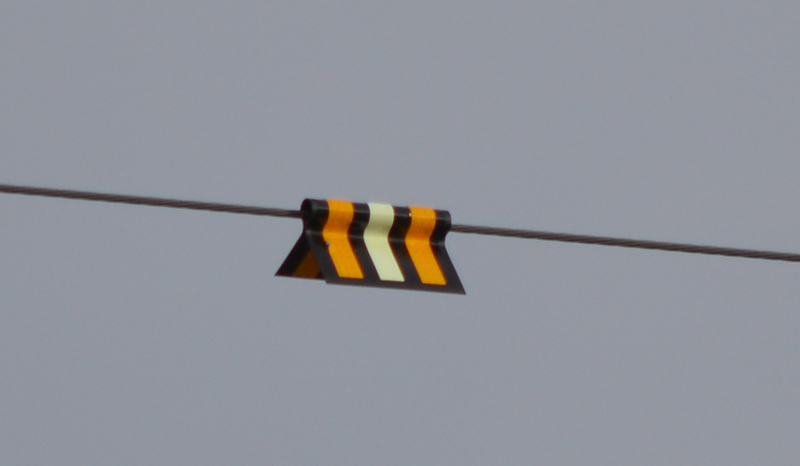 The Firefly Diverter is a reflective tag that hangs from the wire. Similar to the AFD, it has the advantage of being visible in low light conditions when collisions are most common. In addition, the Firefly Diverter glows at night for up to ten hours and it is visible to birds that migrate at night.